Welcome to the Pet Effect! The Pet Effect Campaign, led by HABRI-founder Zoetis, is a multi-pronged campaign aimed to introduce pet owners to the health benefits of the human-animal bond, and to understand how important their veterinarians are for happy, healthy pets! HABRI has assembled scientific evidence that demonstrates how pets improve heart health; alleviate depression; increase well-being; support child health and development; and contribute to healthy aging. In addition, companion animals can assist in the treatment of a broad range of conditions from post-traumatic stress to Alzheimer’s disease to autism spectrum disorder. Veterinarians are the professionals who keep pets healthy, so that in turn, they can positively impact our health and well-being. 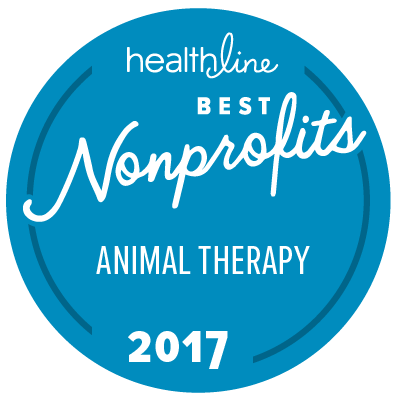 HABRI’s 2016 survey of pet owners found even more evidence that veterinarians are incredibly important to the human-animal bond. Specifically, results showed that veterinarians are trusted resources for scientific information on the human health benefits of pets and that veterinarians have an opportunity to further strengthen their relationships with pet owners by sharing information on this topic. Virtually all pet owners (97%) have a favorable opinion of their veterinarian and 61% of pet owners (74% of millennials) would be more likely to visit their veterinarian if they discussed the health benefits of the human-animal bond with them. The Pet Effect campaign will share the message and the science that shows how veterinary medicine is an essential component of health for pets and people. HABRI is proud to partner with Zoetis to bring you the Pet Effect. Please take a moment to watch the videos, download the materials and share this information widely with your colleagues, friends and family. Together, we can all experience the Pet Effect! Zoetis partnered with HABRI to bring veterinarians, pet owners and the general public The Pet Effect, a multi-faceted, educational campaign to promote a growing body of scientific research that shows how important the human-animal bond is for human health. The purpose of the Pet Effect is to raise awareness and encourage conversation about why pets make us healthier and happier, and how veterinarians — the professionals who help keep pets healthy – are also key contributors to human health and public health. While much of the campaign is light-hearted and humorous, with HABRI’s help, we can point to research that shows The Pet Effect is real!